For this collection we recreated ancient Celtic art, which dates as far back as 1000 BC. This Bronze Age art form uses many different shapes and icons inspired by the Celts and allows you to bring a little ancient art into your home! 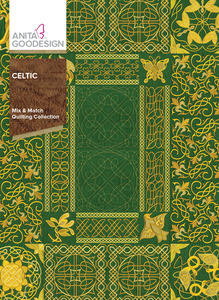 This collection includes 3 different Celtic themes each with 15 designs. It also has 6 additional designs that look beautiful when used with any of the themes. 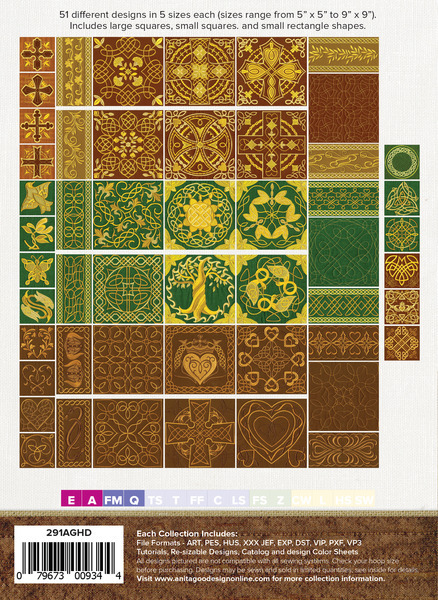 51 different designs in 5 sizes each (sizes range from 5” x 5” to 9” x 9”). Includes large squares, small squares. And small rectangle shapes.